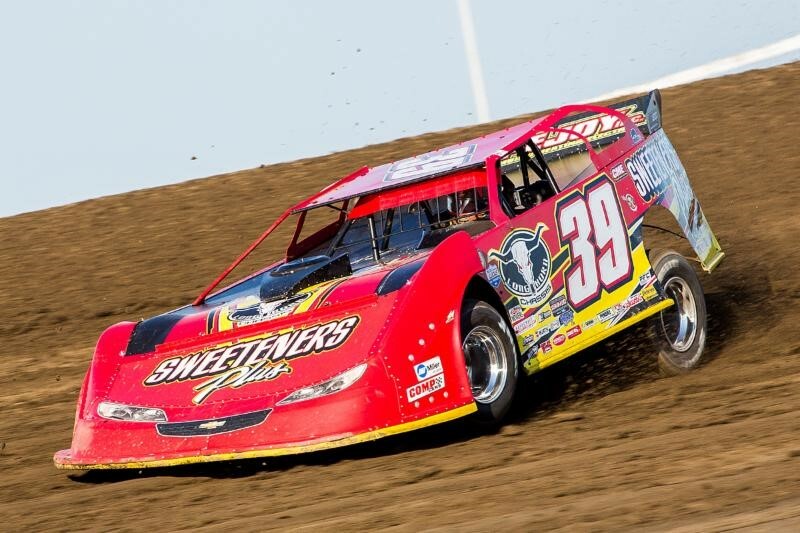 (Mandee Pauch) ROSSBURG, Ohio – July 19, 2016 – After a 10-year absence the Super DIRTcar Series Big-Block Modifieds returned to Eldora Speedway Tuesday night as Tim Fuller battled through the field and claimed his second series victory of the year. The win did not come without a little adversity at the front of the pack as several drivers battled for that top spot. The initial start of the feature saw Dave Blaney and Erick Rudolph on the front row. Rudolph took an early charge into the top spot but was soon passed by Larry Wight on lap two. On lap 17, Bobby Varin took the lead over from Wight. Fuller, who charged forward, and Wight, who looked to reclaim the top spot, diced through lapped traffic all over the track. Wight moved off of the top lane and to the bottom to get through lapped traffic as Fuller blew by on the topside to gain the lead. A short time later, Jimmy Horton, who started 24th, moved into third place and worked to hold off Wight. He and Wight however made contact which forced Wight to the pit as Horton kept rolling. Through the closing stretch, Blaney closed the gap on Fuller and was just about to pass him to retake the lead as the sixth caution of the night flew. Blaney tried to make a charge on the final restart on the top side but Fuller pulled away. Blaney said Fuller was just a little faster than him all night. Horton, who finished in third, said he felt like he had the car to win but got into trouble in ltraffic. 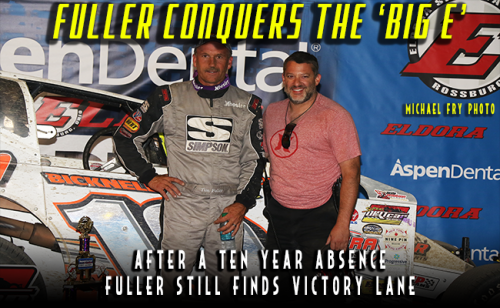 When the checkered flag fell, Fuller scored his second win of the season and kept his reigning title as the ‘Big E’ winner. 58 cars attempted to qualify and 32 cars started the field. The Aspen Dental Dirt Derby was 100 laps and paid $6,000 to the winner. 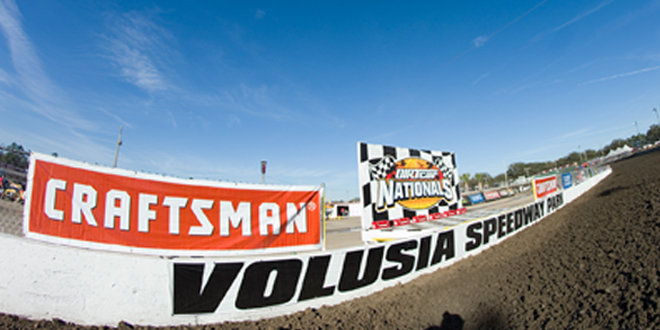 It was the biggest field so far this year for the Super DIRTcar Series. Larry Wight was the fastest overall in time trials with a 17.351. The Super DIRTcar Series returns to action on Wednesday at Eldora for a special exhibition race with the NASCAR Truck Series. 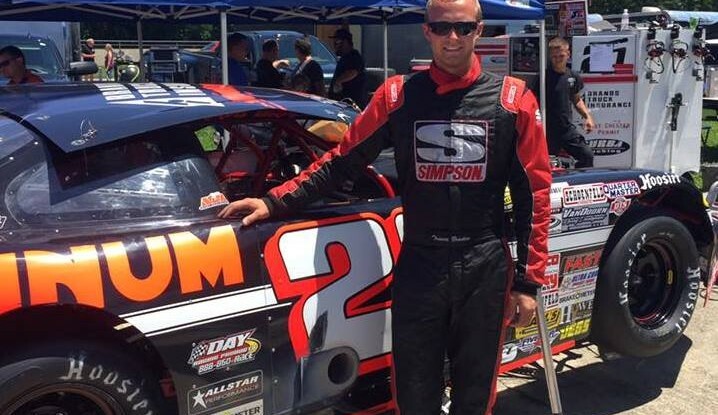 Super DIRTcar Series Statistical Report; July 19, 2016; Eldora Speedway; Rossburg, Ohio.